With the end of summer comes the inevitable preparation for winter. But wait just one second, we still have this glorious season of fall to enjoy! This time of year gives us one last burst of color before the monotony of white and brown settles in for winter. 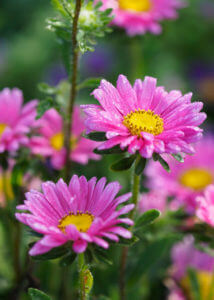 If you’re stuck on ideas for the best plants to plant to extend color in the fall season we have some great solutions! 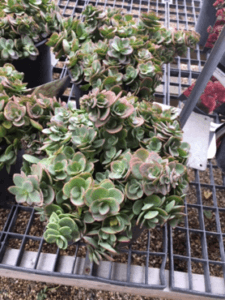 You may be thinking that sedum is great but let’s get more unique. 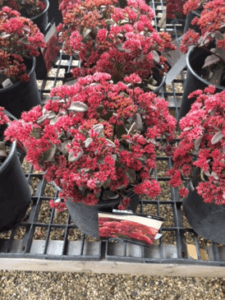 Some varieties of sedum are very common, however new varieties have been released in the last couple years that have given new options in the sedum family. One of our new favorites is the Desert Red variety. 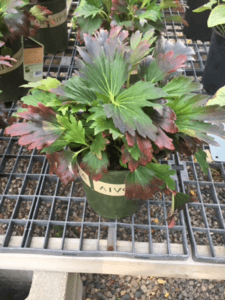 This variety is a lower growing plant with blue/green foliage and almost red flowers. We also love the Lime Zinger Sunsparkler variety that has a pink margin around the leaf! 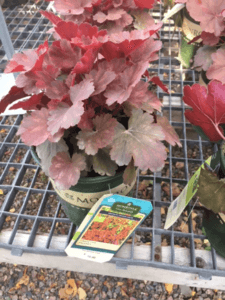 The rich colors of Heuchera (coral bells) become even more vibrant in the fall. 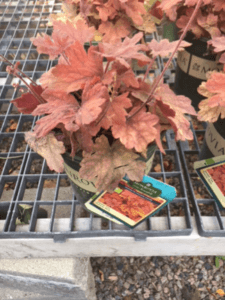 We like using Cherry Cola and Northern Fire Heuchera and Sweet Tea Heucherella (a close relative of Heuchera) for the traditional orange hues for fall. Mukdenia is not a highly used perennial which is unfortunate because of the beautiful waxy leaves it produces and rich red fall color. This perennial prefers shade to part shade. 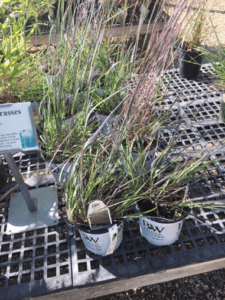 Karl Forester may be the king of ornamental grasses in this area but there are other great varieties that give a ton of interest in fall and winter. 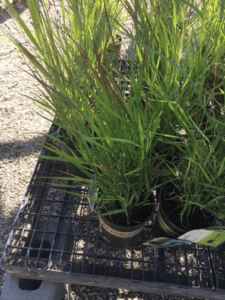 Other options are Blue Heaven Bluestem, Flame Grass, Indian Grass and Shenandoah Switch Grass. All these options will show different shades of fall color and interesting seed heads. Taking after the common name the flower on this plant looks like a turtle head. This woodland plant loves shade and grows to about 2 feet tall. The flowers start to emerge in late summer through early fall. Sneezeweed is a common name for this small daisy beauty. Usually flowering in yellow and red/orange colors this plant loves sun and brightens up areas that are finished flowering for the season. 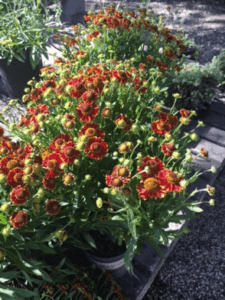 Flowering late summer through fall this is a great plant to introduce to your yard. It is super hardy too, being a zone 3 plant! Probably one of the longest flowering perennials into the fall this is also one of the most colorful. 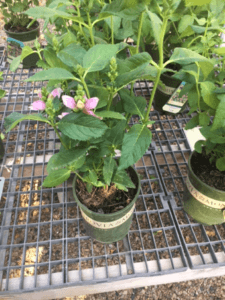 With traditional varieties flowering in shades of pink, blue and purple this one is easy to grow and fills in the landscape nicely. 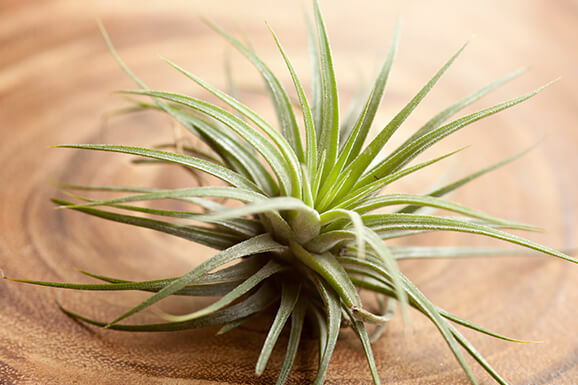 Make a 14” planter or hanging basket of your own design and we’ll grow it for you! 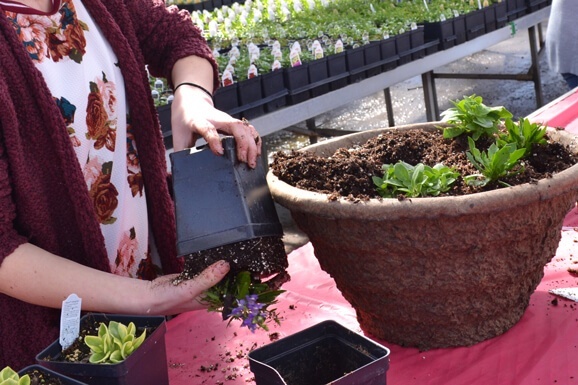 Join us for a unique, low-maintenance plant workshop! The cost is $5 plus your choice of plants and container.